On October 1, 1923 a beautiful baby girl who was named Josephine (Jo) Elinor Norris was born to Fred and Frances (Nibler) Shores in Tomahawk, WI, Lincoln County. She joined 2 sisters Ruth and Rubie, a brother Roy , a sister Izzi followed 2 ½ years later. Jo enjoyed her childhood growing up on the family farm. One of her favorite memories was her and her sister Izzi singing as they chased cows. This singing experience resulted in them being known as the “Shores Sisters” and they sang at various events, fairs and on the radio. After graduating from 8th grade, Jo insisted on going to high school. In order to accomplish this she moved into town (Tomahawk) and lived with her grandma and later shared an apartment when Izzi became a freshman. Jo graduated from Tomahawk High School in 1941, attended vocational school, worked for the Tomahawk Dairy and then the CO-OP. She decided to move to Madison where she worked as a bookkeeper at Oscar Mayer. This is where she met her future husband Gerald (Jerry) Norris and they married on April 27, 1947 in Tomahawk, WI. They later moved to Mauston for a short time and then to Hustler where she remained in her own home for almost 70 years. Jo and Jerry welcomed two children, Julianne (Judy) and Jeffrey (Jeff). Jo worked at various office jobs including The Times Argus. Jo and Jerry owned The Small Mall where people could buy used household items, furniture and appliances in New Lisbon. They thoroughly enjoyed this venture, finding good buys for their customers and enjoying hearing how people appreciated the deals they got. Her main role in life and one she cherished the most was being a mom/grandma/great-grandma and kept busy caring for and loving her family. This was her priority and she would attend every event she could to watch a kid, grandkid or great grandkid in an activity. On the morning of your birthday you knew the first call of the day would be from her singing Happy Birthday. Mom cared about others too and demonstrated this as a perpetual volunteer, USO, American Red Cross since 1944, American Cancer Society including memorial chairman and organizing Bowl Down for Cancer, organizing the community Halloween Party, New Lisbon Legion Auxiliary, Chairperson of the Legion Poppy drive, created beautiful glittery signs for various honorees in the Wa du Shuda parades, Sunday School teacher and superintendent, Bible School teacher, served on altar guild, active member of W-ELCA, choir member, volunteer at the Hustler and New Lisbon Schools and entertaining at nursing homes; being involved with many of these into her 90’s. 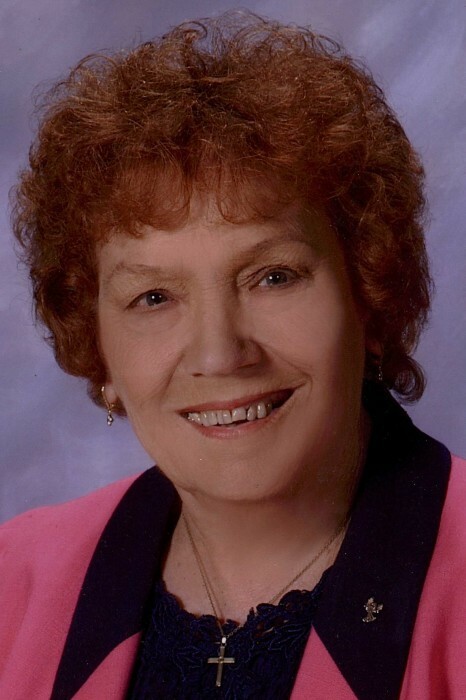 When not with family, working or volunteering she enjoyed singing with the Harmony Express and Golden Girls, bowling, dancing (she and Jerry were impressive jitterbug dancing contest winners), completing word searches and watching TV mostly enjoying game, music and sports shows. She wrote poems, songs and Christmas programs. She was honored to be the Hustler Fest Parade Marshall in 2007. This wonderful woman with a humble, golden heart passed away on Monday, January 14th. Left to mourn and miss her terribly are her kids Judy (Frank) Zobal, Jeff (Peggy) Norris, Grandkids Andrew Zobal, Sarah (James) Grogan, Heather (Pete) Skoubis, Misty Grauvogl and Lincoln Norris. Great Grandkids Grace, Julia, Enzo Grogan, Faith and Penelope Skoubis and Kolten Grauvogl. Leslie Householder, sister Izzi Wakkinen, nieces, nephews, church-community friends. Mom left us too soon, even at 95, but leaves us by a lifetime of examples to have fun, enjoy the simple things, be selfless, humble, have faith and do what is right. Greeting her in heaven are husband Jerry, parents, brother Roy Shores, sisters Ruth Kaylor, Rubie Fish, nieces and nephews.